Chicago, IL - What a grand event for the Serbian community to see over 200 of our children from the Midwest come together on stage with pride and love of their Serbian heritage! Old Holy Resurrection Serbian Orthodox Church Sunday School was proud to host the First Annual Chicago Folklore Festival on April 28, 2012. 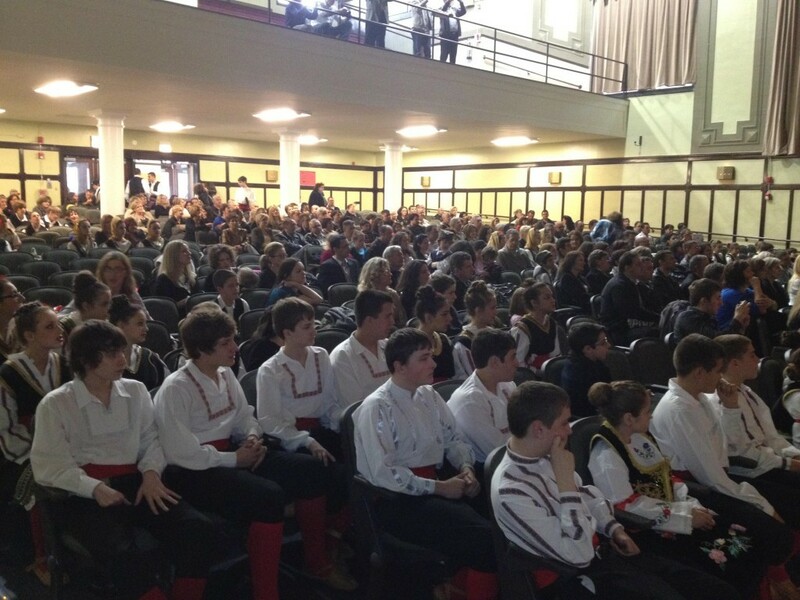 This folklore competition brought together many Serbian families and friends from the Chicago land area, as well as from Rockford, Illinois, Mississauga and Toronto, Canada. It was indeed a beautiful program, well-organized and entertaining to all that had the chance to see it. Hosted by the Old Holy Resurrection Serbian Orthodox Church Sunday School, the success of this event was due to the dedication of many people in their time, help and organization. The 2-hour program during the early evening displayed the distinguished dancing talents of our Serbian youth. With the setting of a school auditorium, including a spacious elevated stage, individual theater seats, and curtain call to close and open acts, our children captivated the audience with their choreography, graceful movements, and stunning traditional costumes. In conclusion, it is our hope that these kinds of events promote the eminent heart and soul of our Orthodox faith and Serbian culture in the positive spirit it deserves. The most compelling part of the evening was the outright joy and comradeship of our glowing Serbian youth. As they complimented each other on their achievements, they also made new friends, and danced the night away in unison. We look forward to seeing you at next year’s 2nd Annual Chicago Folklore Festival, hosted by the Old Holy Resurrection Serbian Orthodox Church Sunday School, “SOKO” Folklore Group.